Nua is proud to be supporting a charity - Outreach Moldova in their efforts to improve care for children with physical and intellectual disabilities in state institutions. The standards in care settings for adults and children with disabilities in Moldova remains significantly behind those in Ireland. Not only do children reside in large orphanages, but do so in horrific conditions with little or no physical affection from adults and limited medical intervention. The life expectency for children remains severely limited. Outreach Moldova provides these much needed medical and staffing supports to a number of orphanages in Moldova and has dramatically increased the quality of life for a large number of children. Earlier in the year Nua Healthcare agreed to sponsor the salaries of 40 Nannys to provide PA supports for children with severe to profound disabilities. 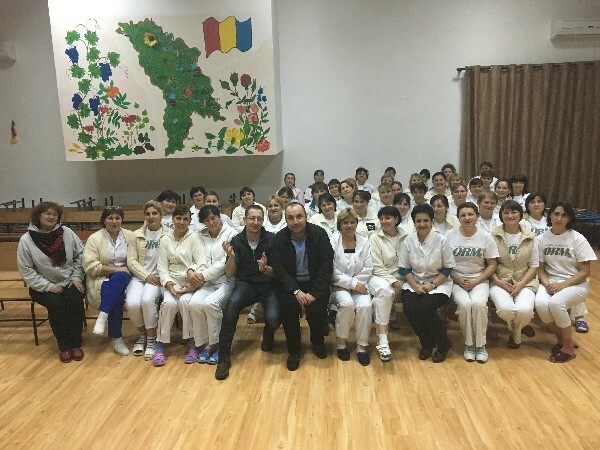 Edward Dunne, CEO, recently took a trip out to Moldova to observe the impact of the supports and to assess how Nua could advise the organisation on alternative care models to current institutional practices. We had the pleasure of meeting all of these committed individuals during our visit and observed them working with each child compassionately. Nua is keen to work with Outreach Moldova on a charitable basis and bring our expertise in providing community based care to a country where none exists. We are currently working with the organisation on some exciting projects and hope to report on these developments in Spring 2016.